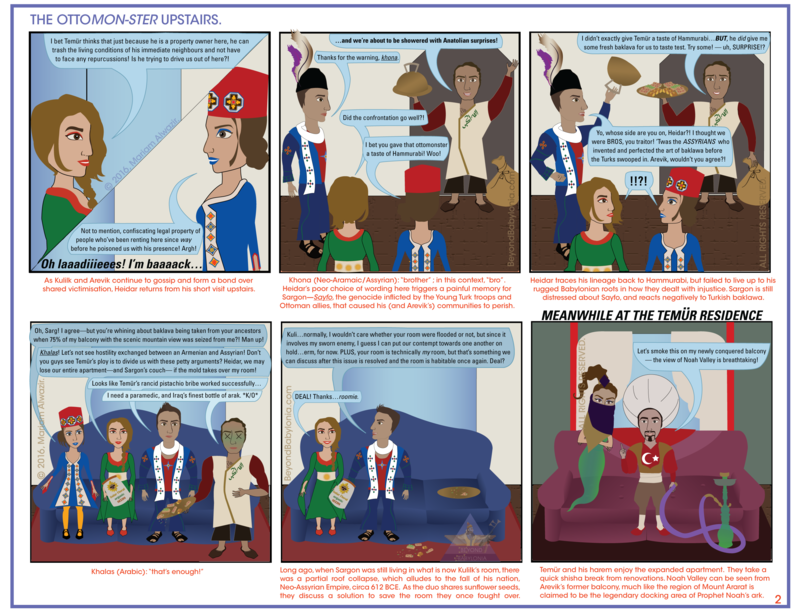 This episode ties directly to my previous one (The OttoMON-STER Upstairs), and shows events that happen in Yitzhak and Daliah’s apartment that are simultaneous to the events in Heidar’s apartment. Here we are introduced to three new characters—Itzhak the Israelite, Daliah the Palestinian, and the third being Kurosh (Cyrus) the Persian. My personal views on the conflict are very neutral, but if you think my representation of Yitzhak or Daliah are lopsided, let me know and I might revise. Although it’s no secret that Israel does not have the best relations with Palestine or Iran, I did try to make an episode featuring all three in one room as humorous as humanely possible, without sacrificing true events in our world. In the next week or two, I will show Yitzhak in more fortunate conditions…and don’t worry—all his files are safe! 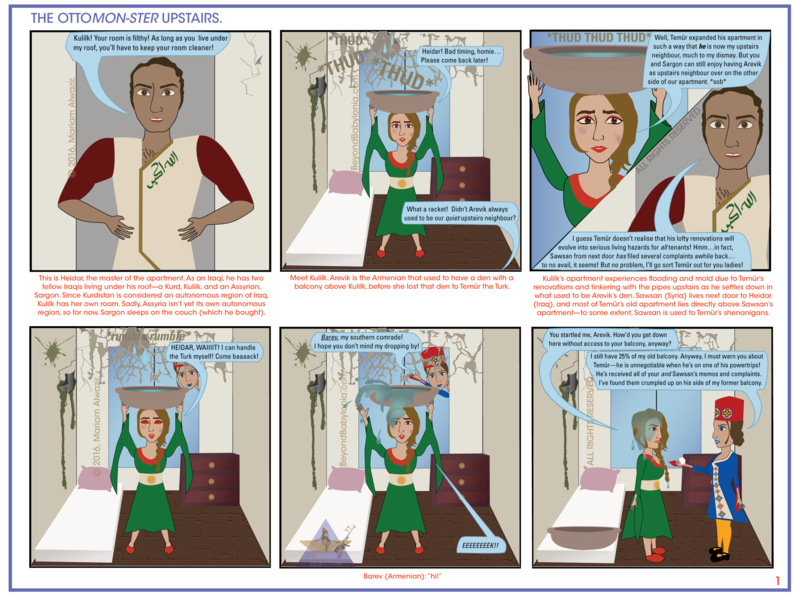 In the first panel, we learn that overdosing on arak is the worst way to treat food poisoning. Heidar is not in good shape right now, but he will recover, as he always does (Iraq has been through many foreign invasions). Daliah’s medicinal olive oil will surely speed up the recovery process! At the opening, I decided to include a brief interaction between Daliah and Arevik (on the phone), to show good vibes between Palestinians and Armenians. Right when Yitzhak’s computer goes berserk, Daliah escapes through the window. Though she did interrupt his internet, Daliah isn’t the true mastermind behind Yitzhak’s tech trouble! That’s right—it’s Kurosh! And he challenges Yitzhak to a friendly Israel vs. Iran Chess battle. In the final panel, we see the gleam in Kurosh’s eyes that hints to us that he enjoys trolling Yitzhak. The two love a good game of Chess, and together, they go WAY back (and I’ve already dedicated a special Purim episode starring just the two of them, which will be shared in a few weeks). Temür will make another appearance in the next episode or two. In the next several episodes, we will begin to see how one character interacts with the other, and what kind of relationship they have with one another. It is bound to get more complicated as I go on with this series! The computer I am using is almost as old as Yitzhak’s (my daily struggle with technology emanates in the 5th panel). Once I can afford a new computer and modern software, I will update much more regularly. In the meantime, if any of you readers have suggestions, comments, or threats for me, please do not hesitate to reach out to me here or via email. All feedback is appreciated! Happy Holidays and New Year, everyone. It’s been a while. This year, let’s make this world a bit of a better place, amidst the escalating chaos, starting with making one stranger smile today! Well, folks…this weekend marks the moment where I leave my qualms of corporate retail behind me. At last, there shall be the spare time to publish my long overdue drafts, as I hunt for a job more relevant to my career aspirations. I hope to find it soon. As I search for a new job here in the Washington D.C. area, I’ll shake off the recurring fantasies of exploring Belgrade, Moscow, Teheran, or Tunis. How I miss the east! I will return soon with actual content. 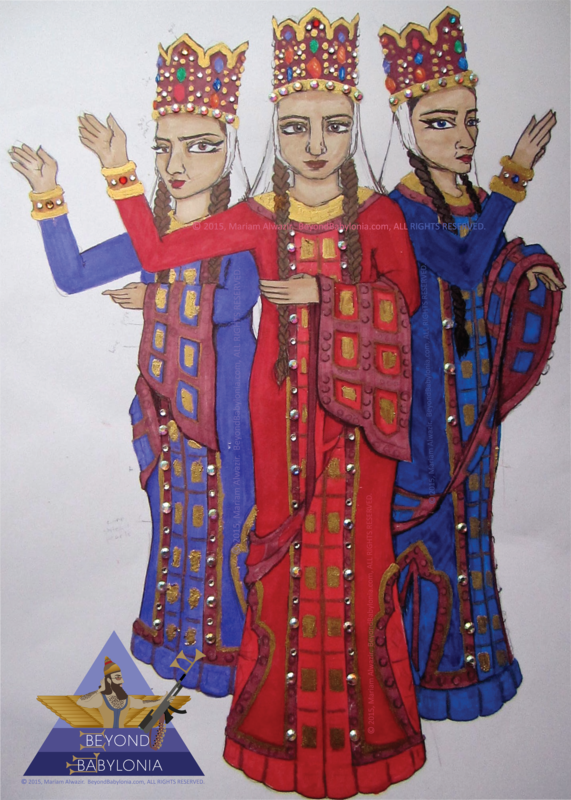 This illustration is directly inspired by a very enchanting performance by Sukhishvili (Georgian National Ballet), called “Samaiya”. You can read details on their English website over here, and definitely check out their other excellent performances! This is my 2nd draft — I plan to create final one on canvas with gouache using this exact colour scheme (and I’ll be meticulous with my gold leaf). Here, I used PrismaColor on Paris Paper, gold leaf, and imitation Swarovski. 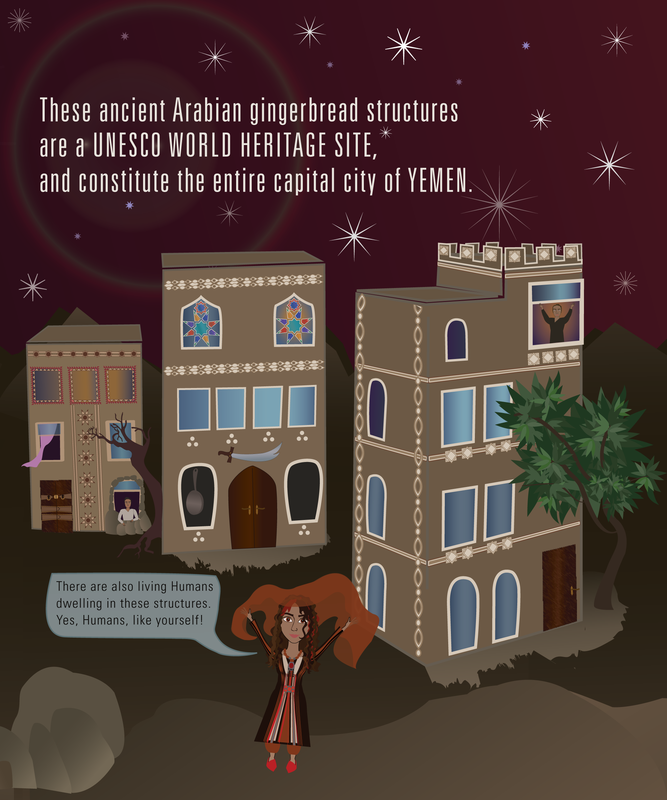 I illustrated this 3-piece poster in the first week of April 2015, mainly to promote the diversity of Yemen. When the 3 pieces are combined, it creates the full 6″ by 15″ scene. At that point in time, Yemen had faced two weeks of non-stop bombing and airstrikes from saudi arabia. It is now early September, and the bombing continues. In recent weeks, Yemen has been in a state of anarchy, following decades of political instability and poverty since the 1962 revolution. For over 2 weeks now, Saudi Arabia has been launching deadly airstrikes over Yemen, killing over 100 civilians. The death toll of civilians and “rebels” will continue to rise until the saudi invasion ends…until saudi decides to give a damn about justice and Human rights. 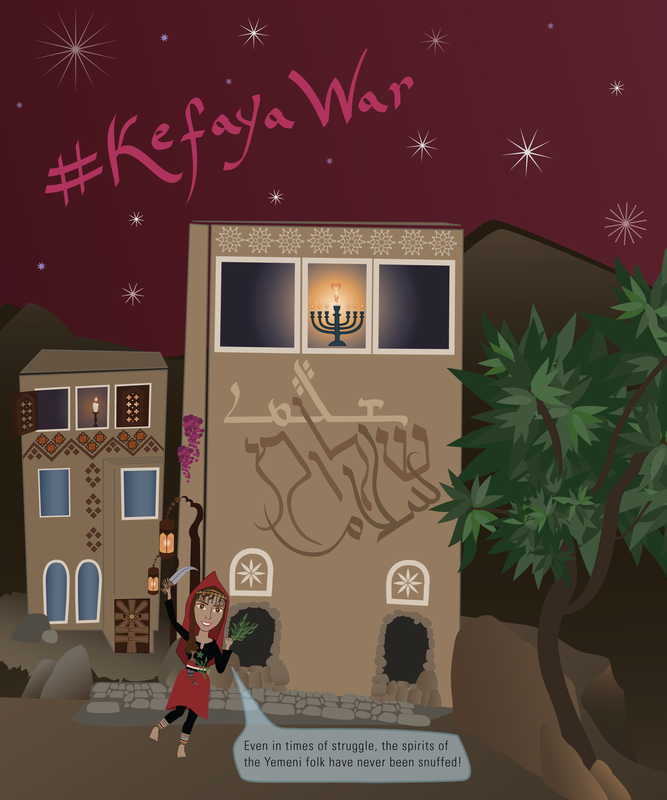 #KefayaWar (“enough” war) is trending on social media by those protesting the violence of foreign intervention. It demonstrates the devastation faced by Yemenites who have lost their homes or family members by drones in the past several years, or in more recent airstrikes, whilst simultaneously sharing the beauty of this fertile mountain city (Sana’a), and the strength and resilience of the Yemeni civilians. This piece venerates the diversity of Yemen, dating back to the Jewish presence that prevailed back in the Himyarite era. It is a nostalgic scene, but flickers hope for a brighter future in Yemen. 7 months later, the bombing has intensified and will continue. In the last scene, you will notice I included some, erm, calligraffiti on the building. 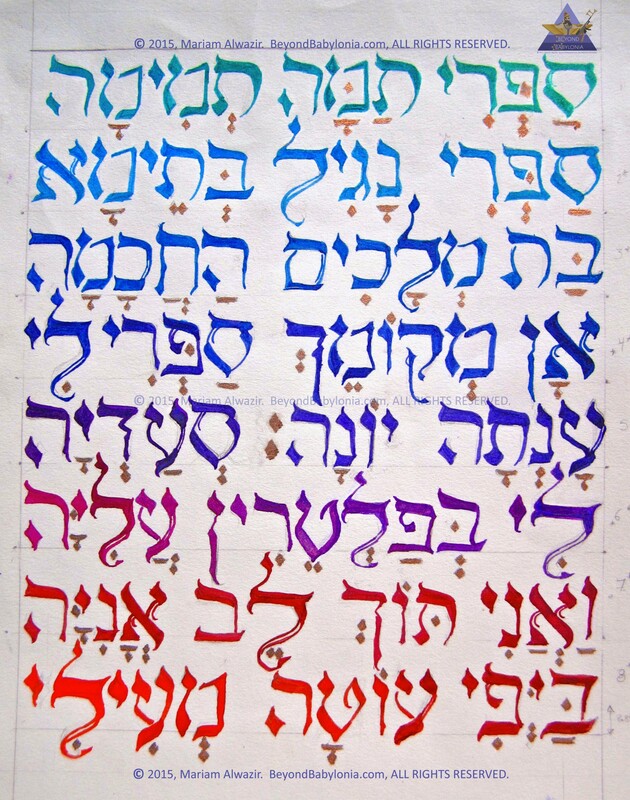 From top to bottom, it reads shlama in the Eastern Syriac (Madankhaya) script, shalom in Modern Hebrew script, and salam in Arabic script. 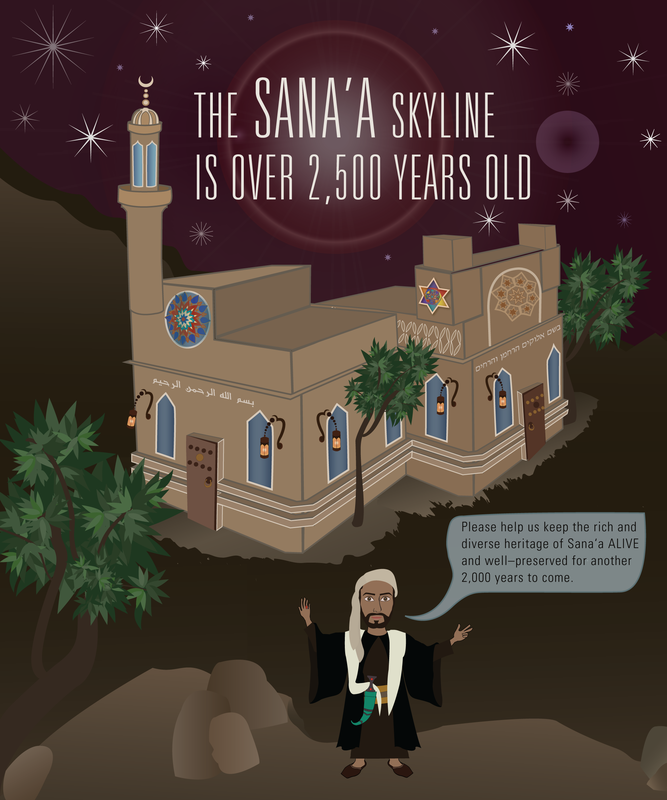 Given Sana’a’s geographic location and influences, it would’ve made MUCH more sense to include Sabaean script, or even Amharic or G’eez script, rather than East Syriac. Or maybe I could’ve used West Syriac, or even Nabatean, rather than East Syriac. 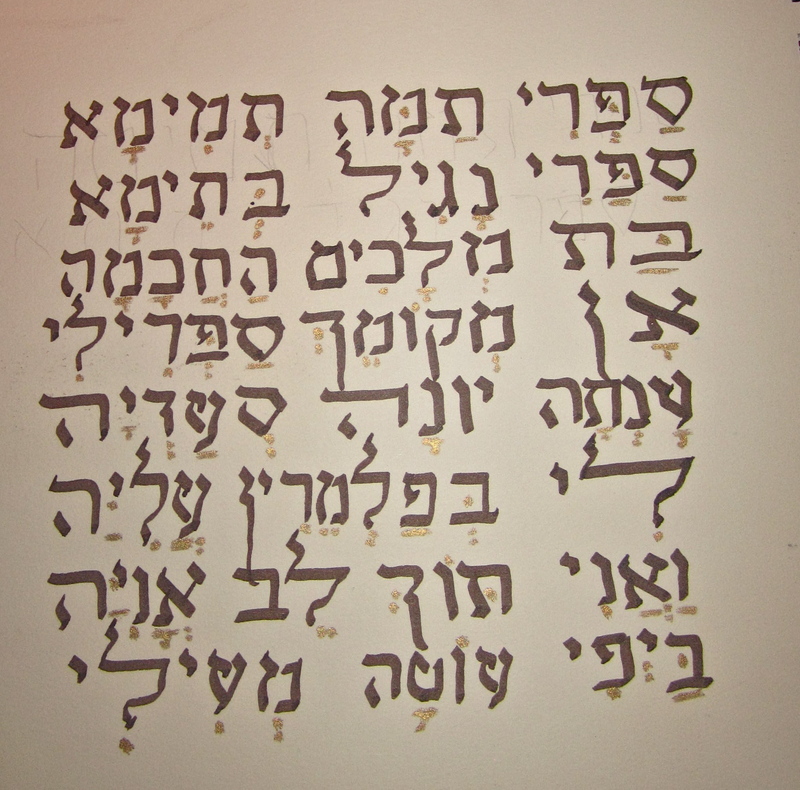 Although, I am not yet familiar enough with Sabaean or Amharic, I will have to revise this last piece and upload again!